"El abrojito" by Osvaldo Pugliese y su Orquesta Típica with Alberto Morán in vocals, 1945. “El abrojito” by Osvaldo Pugliese y su Orquesta Típica with Alberto Morán in vocals, 1945. He was Italian, he was born in Strevi, a city near Milano. He arrived in Argentina at four, finally settling in Buenos Aires. He began to sing in a neighborhood group, and soon entered a second line orchestra which had some success. It was led by the bandoneon player Cristóbal Herreros, and with him he performed at the café El Nacional. The young singer attracted the attention of the maestro Osvaldo Pugliese who asked some of his musicians to go to listen to this singer in order to have their opinion. 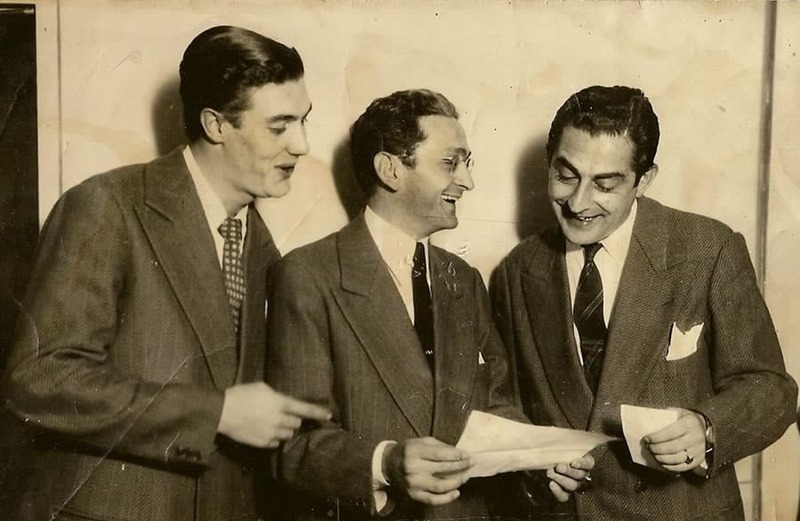 Finally Pugliese took him to Radio El Mundo for an audition after which he hired him while at the same time he advised him to use more his mezza voce. Morán, as many other singers, never studied neither music nor singing, what added to his impassioned style and his unconventional way of life, made him risk his voice to such an extreme that his voice declined very early. Continue reading.